Read the following FAQs to find out more about our plans. Preventive care is the combination of regular examinations, vaccinations, screenings, and other medical services that your veterinarian performs when your pet comes in for a visit. These procedures allow your vet to create a health history or your pet, and catch and treat small health issues before they turn into big problems. What is included in preventive care? Checkups, vaccinations, blood work, intestinal parasite and urine screenings, dental cleanings, and other routine services fall under the preventive care category. The age, gender, breed, and general health status of your pet will impact the type of preventive services administered to them. Do puppies and kittens need preventive care? Yes. Illness doesn’t discriminate, and starting your pet of right away with preventive care will ensure they have a long, happy, and healthy life. Vaccines to prevent diseases like rabies and distemper should be given to your pet early on in his life, and spaying or neutering your pet early on will prevent many health and behavioral issues. Yes again. As a pet ages, different health concerns can crop up. Regular checkups and screening can catch these health issues, and allow your pet to live comfortably as they transition into their golden years. The preventive services for senior pets include: biannual checkups, dental cleanings, vaccinations, blood and urine screenings, parasite control, and more. A wellness plan is an affordably monthly payment plan that pet owners can use to pay for their pets’ preventive care services. Our plans were created by veterinarians who know what it takes to keep your pet healthy, while still keeping the cost reasonable. With wellness plans, vets can work side-by-side with pet owners to create customized preventive plans for their pets, as well as an appropriate monthly payment plan to cover the cost of the services. Yes there is. After you and your veterinarian determine which plan is right for your pet, your monthly membership fee will be created, and the fee will appropriately reflect the cost of coverage. Yes. We understand that life happens, and unforeseeable circumstances are impossible to predict. We make it easy to cancel or change your plan at any time, and won’t charge you cancellation fees. All you are responsible for is the regular price of services you’ve utilized thus far. ​Is a the plan an insurance policy? No. Our plans aren’t the same thing as pet insurance. 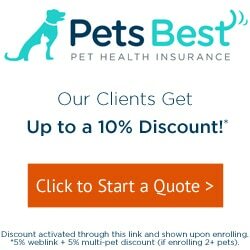 Pet insurance helps to offset the cost of major health issues like severe illness or unexpected injury, whereas wellness plans are meant to help you manage the cost of your pet’s preventive care services. Is a wellness plan right for my pet? Do you bring your pet to see his veterinarian one or more times per year? Do you notice signs of gum disease or other dental issues in your pet? Do you desire your pet to be up-to-date on all of his vaccinations? Does your pet have certain health issues that are associated with his breed or genetic history? If you answered yes to any of these questions, then a wellness plan is right for you.